Longtime Colorado residents know that our winters can be brutal. Granted, there are stretches where we want to break out the shorts and pretend its summertime. Just when we start to get comfortable with Mother Nature, she throws us a curveball with a week straight of bitterly cold temperatures. What do you currently do in your home to combat the nasty weather? Most Coloradans simply turn up the thermostat and call it good. Should you make a habit of this, though, your wallet will take a hit from the month’s energy bill. That’s why it’s so important to have proper roof insulation in your home. Not only does insulation save you money, but it also keeps your family warm and cozy throughout the winter. Keep reading to learn more about our Fort Collins roof insulation services. At Schroeder Roofing, we install attic insulation right the first time, so you never have to worry about quality being sacrificed or paying more than what you have to. Our roofers are proud to be an Owens Corning Top of the House certified installer. What this means for you is that we make your attic energy efficient while adhering to strict standards. Don’t let this be another winter where your family is shivering all winter long. 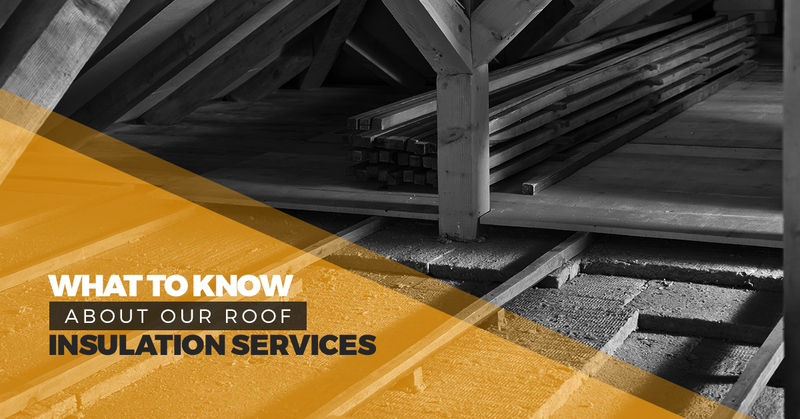 Rather than bundle up in layers and blankets, why not get started with a simple roof inspection? When you work with our roofing contractor, rest assured that we will take care of your needs. Best of all, you may be able to claim up to $500 off your taxes for installing roofing insulation. Our residential roofing professionals will provide a free estimate. Should you need financing, Schroeder works with a trusted company who can help. From insulation services and commercial roofing to gutter services and roof hail damage repair, our family owned and operated business has you covered. Coloradans choose Schroeder because of our reputation, professionalism, and attention to detail. Call Northern Colorado’s Top Rated Local® roofing company now to get started with your insulation project.